About two weeks ago, Paris Saint Germain humbled Manchester United at Old Trafford and handed Ole Gunnar Solksjaer his first loss as The Manchester United manager. Ever since then, United have been counted out by many critics and established pundits as no one could believe if United had it to defeat this dynamic PSG side at Parc des Princes. Manchester United went to the French capital with a pretty depleted squad as their star men- Anthony Martial, Jesse Lingard and Alexis Sanchez were in the injured list and did not travel with the squad. The injury woes didn't end there as the midfield trio of Ander Herrera, Nemanja Matic and Paul Pogba, who have been the spine of this United side under Solksjaer were absent. All three players were not available as Herrera and Matic weren't declared fit and Pogba out to suspension. The Norwegian took along a handful of academy players in his quest to overturn the deficit and reach the quarter-finals of the UEFA Champions League. 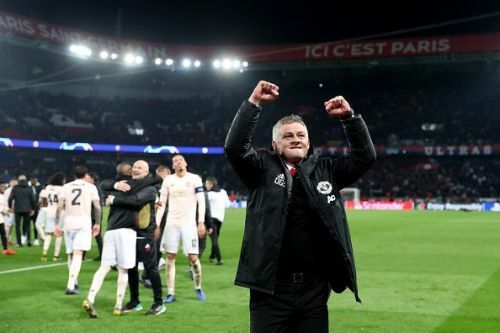 Solksjaer men made history by defeating PSG 1-3 and proceed via away goals to the quarterfinals. Let's discuss 5 things which proved to be extremely beneficial for Manchester United in their 2nd leg tie against PSG. United gained an early lead through Romelu Lukaku and cut the deficit to just one goal. On a night like this, the red devils couldn't afford to concede against this vibrant PSG unit but unfortunately, they did as PSG equalised with a Juan Bernat close-range finish. Up until this point, United's defence was in shambles. the players seemed pretty confused as to what was really happening at the back. Eric Bailly looked the most vulnerable one at the back and the Ivorian wasn't settled at all. At times he looked all out of sorts and it appeared like the Ivorian will be the most likely one to commit a mistake. Eric was taken off in the 36th minute in what looked to be a tactical change and this brought on Diego Dalot. The Portuguese was stable, took the ball ahead handsomely and at once even looked like scoring. 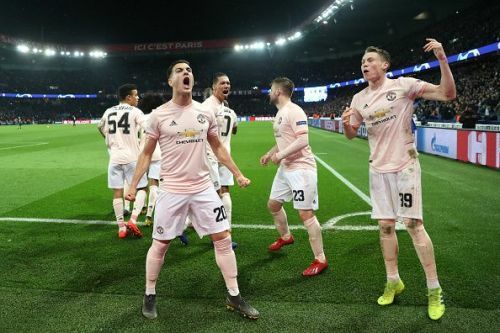 Dalot had a tremendous outing and the boy surely made his mark in this emphatic victory for Manchester United over PSG.